Baofeng UV-5R manual programming is not difficult, but it requires some practice. Nothing really complex, but you have to put some effort to program the Baofeng UV-5R. It’s not a joke. Programming manually a Baofeng radio, especially the model UV-5R is possible using the own keypad of the radio. 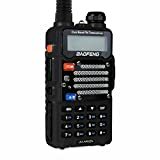 Baofeng is a market leader in its segment and the Baofeng UV-5R is one of the most popular and common dual band “walkie talkie” two way radios on the market over the entire hamradio planet. It’s light, compact, fully equipped of accessories, but above all it is inexpensive for amateur radio operators, I wrote inexpensive and not cheap, because despite the Chinese manufacturing the product is pretty good for the money you invest. For many novice and young old man, the Baofeng UV-5R is the “first” radio. And for many of them who are not used to programming portables two ways radio, the Baofeng UV-5R is also one of the most challenging to program. The reasons are simple: the producer is offering a very poorly written user manual and second there is an almost lack of support by Baofeng company. easily be retrieved at a later date. PTT-ID settings and a six character alphanumeric identifier or channel name. Setting all of this stuff may appear not easy, but fortunately, there are many helpful resources available from the world wide hamradio community of UV-5R fanatic. Here you can Download a guide to Baofeng UV 5R. This guide is a perfect support to navigate the Baofeng UV 5R instruction jungle. The programming software for Baofeng UV 5R is called CHIRP, and you can download it for free from the web. The only thing you must buy for your Baofeng UV 5R programming is the cable PC03 FTDI. There are many cheapest alternatives to this cable, but I always suggest to purchase good quality cable. They are fragile and when you will need it, maybe it can result damaged. Traveling for pleasure or for business I always take with me my Baofeng UV 5R and so often i found that cable and PC and heavy and needless. 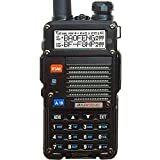 Also when you are in action, or during an emergency, or when you are in a trekking session and probably you don’t have a computer to program your Baofeng UV 5R, it could always happen that you need to set some frequencies on your brand new walkie talkie by Baofeng. What if you need to add in a frequency or program a channel on the fly? You need to lean how to program the Baofeng UV-5R. In all of these cases it could be really important to learn how to program your radio manually, directly from the radio itself. In this video you will learn how to manually program your Baofeng UV-5R in few seconds. Check it out. Enter in Frequency (VFO) mode and enter the frequency you want to store inside the memory. Press the [MENU] button to enter inside the menu. Enter [2TXP] [7TDR] on the numerical keypad to get to MEM-CH. Press [MENU] to select what you want. Press the [MENU] key to confirm. Press the [EXIT] key to exit the menu. Please be sure you’ve set up a duplex channel in VFO mode on the upper display, and that you are still in VFO mode. Save as you would a regular simplex channel, as described in the previous section. Press the [★SCAN] key momentary to get into reverse mode. Save that again to the same memory channel just as in step one (1). Switch to Channel (MR) mode with the [VFO/MR] key to test your new channel. If you would like to name your channel you will need to do that from a computer. If our words are not clear, try with this video. The power of the OM community is in the skills sharing. Check it out! Did you achieve to master your Baofeng UV-5R manual programming?